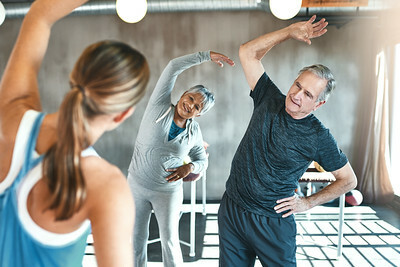 Instructor working with people at a gym gym. 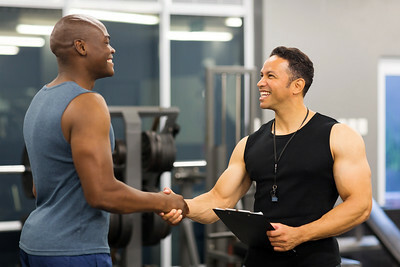 Personal trainer working with her client at a gym gym. 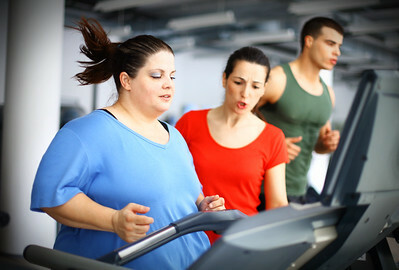 Personal trainer working with her client at a gym. 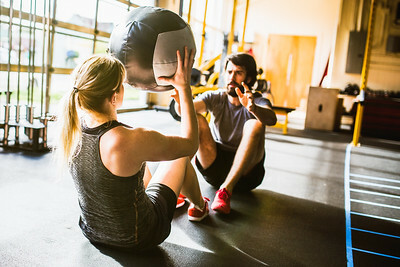 Indoor shot of young female exercising with personal trainer at gym. 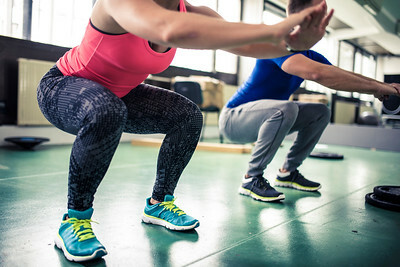 Fitness woman doing push ups with her personal trainer at health club. 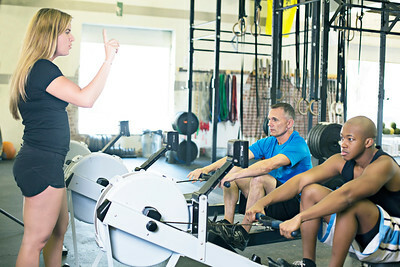 Shot of a young woman exercising in the gym with the supervision of a personal trainer. 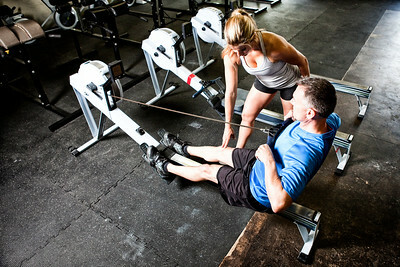 A young couple does weighted crunches on the floor of a cross training gym, sunlight coming in from the windows behind them. Horizontal with copy space. 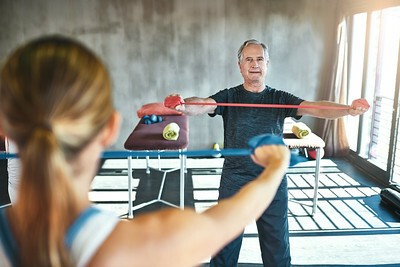 Young adult personal fitness trainer supporting his client while doing overhead rope extension. 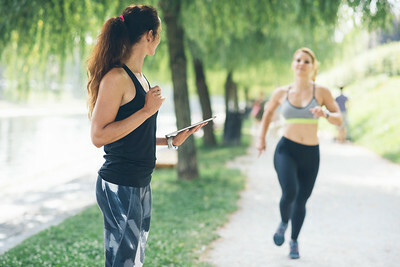 Young sporty woman is doing push-ups with dummbells under supervision of a personal trainer. 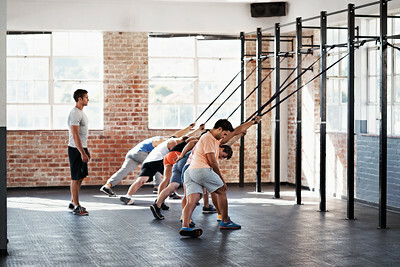 There is another young female working out in the background. 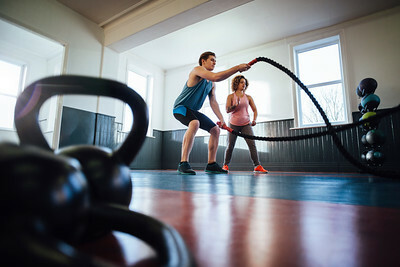 Female gym instructor training a man using battle ropes. 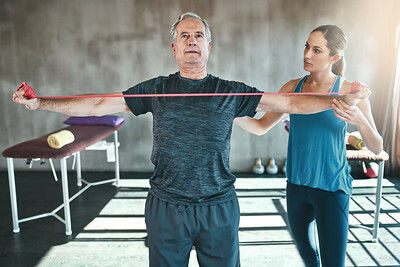 Young athletic woman having sports training with assistance of personal trainer and doing leg exercises with suspension straps at gym.